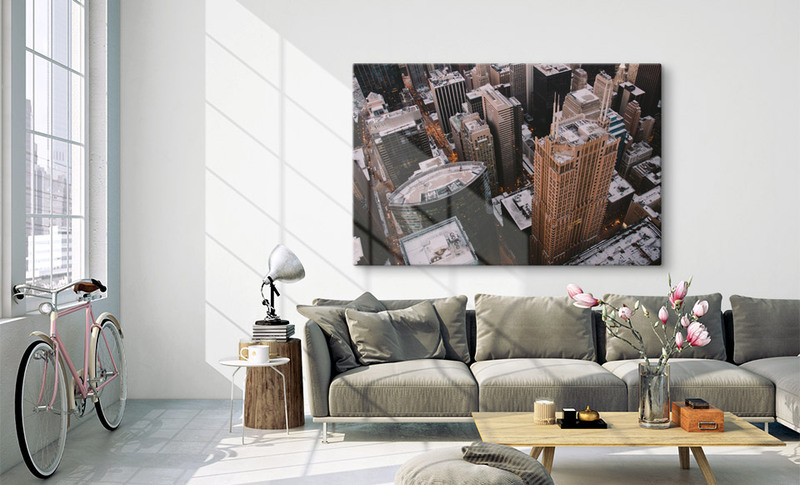 Custom metal prints – Over 50 sizes – now with 100 % FREE delivery! Custom metal prints are a special tip for photographers who place great importance on the print quality of their work. This is the reason why so many professional photographers prefer this material. When creating a print onto aluminium, the colours and contrasts can be rendered perfectly in a high resolution. Custom size metal prints are also inherently stable and resistant. This all makes custom metal prints a favourite of professional photographers. We offer custom metal photo prints in two variants: White semi matte is the standard version, which is ordered by most customers. It provides all advantages you expect from custom metal prints. Brushed metallic Alu-Dibond is particularly popular for architectural photography or for technical motifs. All elements that were originally white in the photo will appear shiny and metallic in the finished aluminium print. Did you know? We offer Alu-Dibond in the variants white or brushed metallic. Did you know? Your metal photo prints are available in more than 50 sizes and formats. 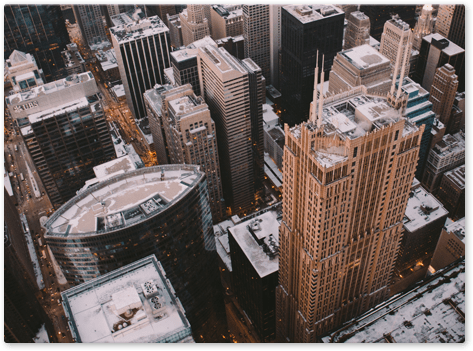 Custom metal prints and panoramic metal prints are produced these days exclusively in a direct printing process. In this process, the colours are printed directly onto the surface of the aluminium plate. This means that there is a direct bond between the print and the Alu-Dibond, which allows your finished custom metal wall art to be hung even in wet rooms. This is because, in contrast to glued-on prints, the direct print cannot peel off or yellow. 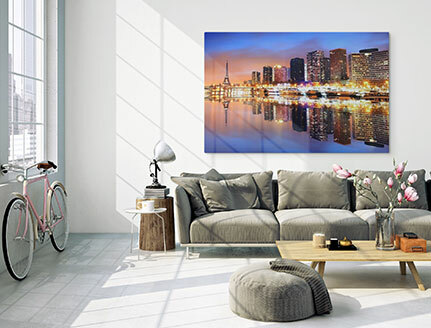 Ordering your own custom metal prints is very easy if you keep a few hints in mind: Most important is the resolution of the photo that you want to use for your metal print. Since we can print on aluminium at very high resolutions, the size of the photo is decisive. It should in any case be more than 3 megapixels. If you want to have especially large custom metal images, you may need a photo file of over 10 megapixels. In any case, the rule of thumb is: The higher the resolution of the photo, the better your custom photo print on metal will be. We offer both product variants in a wide range of attractive standard formats but we can also manufacture custom formats on request. When will your Alu-Dibond print be delivered? 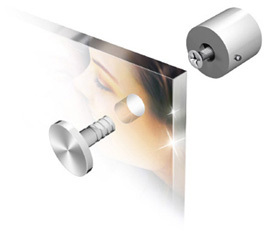 Custom metal prints need a special hanging system for attaching securely to a wall. We offer three clever hanging systems that have been specially developed for hanging aluminium photo prints. 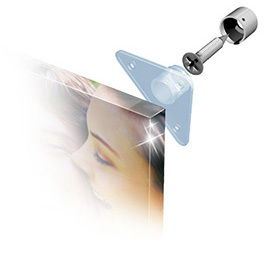 The best hanging systems for custom metal photo prints are Couple and Steel20. 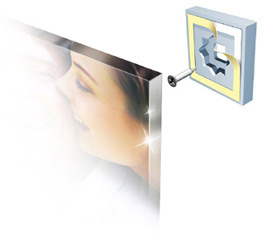 Using the “Couple” system, the aluminium print can be hung so that it appears to be floating freely. The hangers are glued onto the back of the aluminium print in this case, meaning that they cannot be seen from the front. The “Steel” hanging system ensures that your custom metal prints are securely anchored to the wall, even in outside areas. For this purpose, four holes are drilled into the aluminium print. The print is then pinned to the wall securely through these holes.